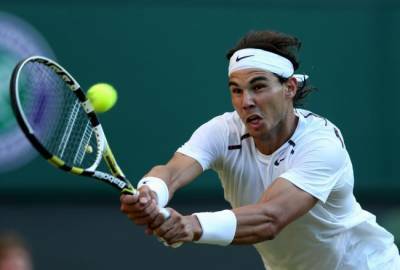 Rafael Nadal has suffered from chronic knee tendonitis and injuries over several seasons. 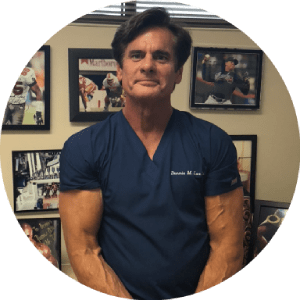 Generally, he is able to treat it conservatively with rest and treatment including platelet-rich plasma(PRP) and he has generally rebound it. However, his knees this year have not responded as well, having sidelined him since the Wimbledon Tournament this summer. An MRI diagnosis revealed a partial tear of patellar ligament and he stated that he anticipates returning by next season and anticipation of being ready for the Australian open. Rafael Nadal former world’s number one player had started up the year successfully defending his French Open crown taking a record 7 French Open victories. Similar injuries have been treated successfully with platelet-rich plasma (PRP) as Rafael Nadal has had in the past. His current treatment is somewhat being guarded closely and one would have to speculate that he is returning to regenerative techniques to facilitate his recovery as he has in the past. Numerous competitive athletes in the professional rings have turned to platelet-rich plasma (PRP) and stem cell therapy in order to return to a higher level of functioning, hasten recovery and get back to the rigorous demands for professional sporting career. Rafael Nadalis notorious, for the stress and pounding he places on his knees for the aggressive style that he adheres to. Some have postulated that it will shorten his brilliant career. It would be interesting to note whether long term, the use of regenerative techniques such as platelet-rich plasma (PRP) and stem cell therapy will not only have a reparative effect but in cases such as these, forestall degeneration or osteoarthritis in the future. It might be that athletes turn towards these procedures when their career is over to prevent the ravaging effects of chronic injuries later down the road. Joe Namath was a classic example of someone whose knees failed him in the later part of his career only to continue to degenerate where he required knee replacements at a later date. It is the goal of most patients and presumably athletes when their playing days are done that they avoid this outcome or to remain as functional as possible so that they can continue with active lifestyles without the ravaging effect of severe degeneration precluding an active lifestyle.